A proposed specification for electric trace heating has been published which will be of value to all electrical design engineers, specifiers and students of electric trace heating. 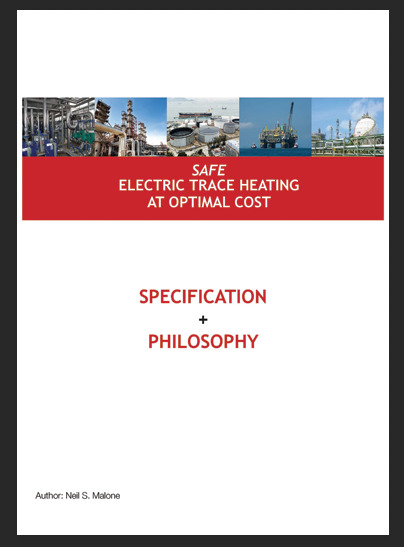 The specification, entitled ‘Safe Electric Trace Heating at Optimal Cost – SPECIFICATION + PHILOSOPHY’, is authored by Neil Malone, the founder and owner of Heat Trace Limited. However, he is keen to emphasise that it follows his personal approach to trace heating design which has been influenced by his lifetime involvement in the development and maintenance of trace heating standards. As such, it is intended as an impartial, unbiased document that mentions neither his company nor its products. Instead it refers only to generic products. The main thrust of his philosophy is that temperature safety – the major challenge – will be most effectively provided by inherently temperature-safe self-regulating heaters, which do not have to rely on temperature controls.